Man is tiny and insignificant before the gigantic creation. He finds himself surrounded by a world which is too difficult to comprehend with his tiny intelligence but everybody’s presence in this complex world has a definite purpose and knowledge provides direction for man to reach his goal. The Vedas, the eternal source of knowledge, provides specific guidance on how man can conduct himself successfully in various aspects of life. 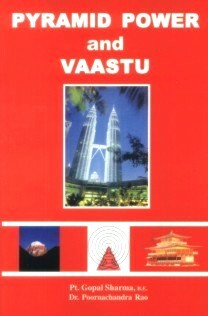 Similarly, Vaastu Shastra refers to field of Vedic Architecture. By following the principles of Vaastu Shastra, an architect can design a structure that will not only cater to the gross needs of the residents, but also to his suitable needs of mental peace and happiness to add to his health, wealth and happiness.